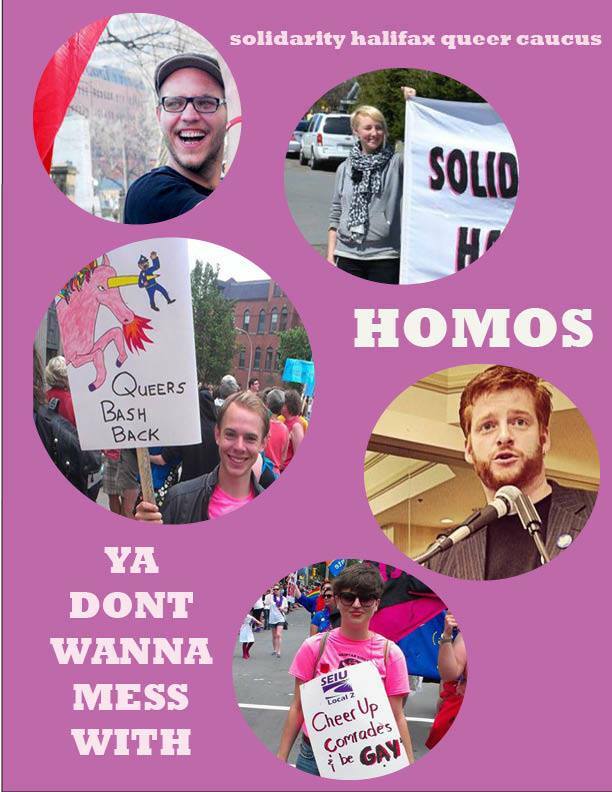 Solidarity Halifax Queer Caucus. Homos ya don’t wanna mess with. Uniting queers against capitalism. Queer or LGBT? Opposed to capitalism’s destruction of people’s lives and our planet? Maybe you should think about joining!